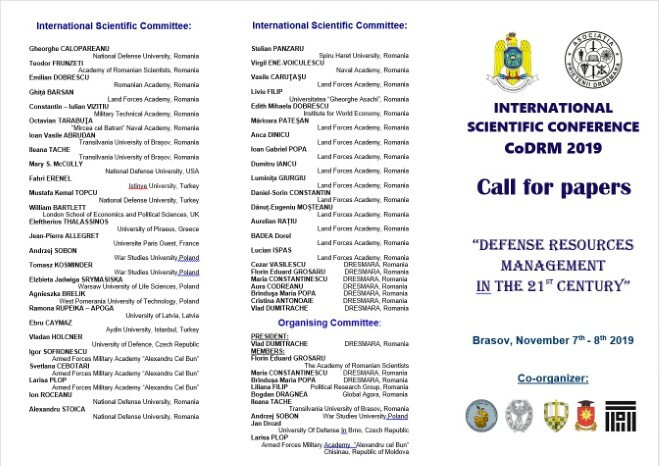 “Defense Resources Management in the 21st Century” is a scientific international conference organized yearly by the Regional Department of Defense Resources Management Studies (DRESMARA), Brasov in collaboration with the "DRESMARA’s FRIENDS" ("Prietenii DRESMARA") Association. The aim of the event is to enhance the collaboration among scientists and researchers focused on the current challenges raised by the international environment for the defense and security establishments worldwide. 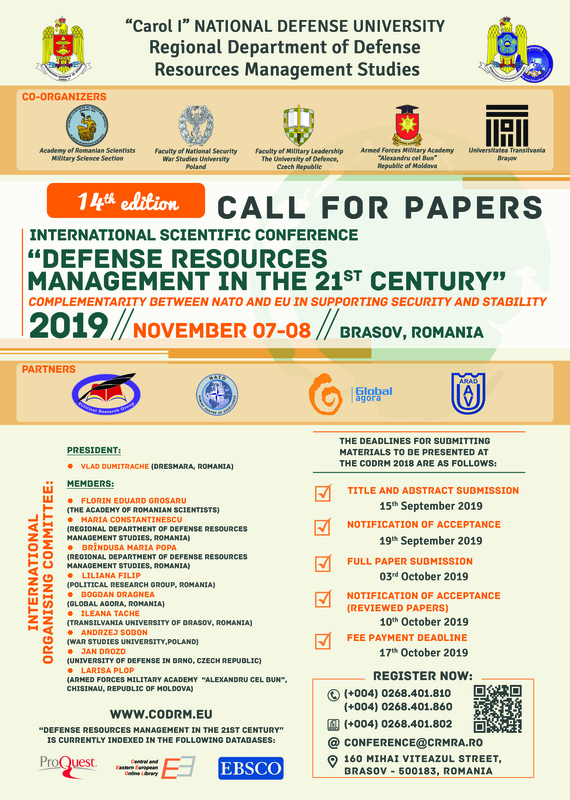 The conference provides a framework for discussing the trends and challenges in defense resources management as a result of environmental and security changes worldwide. It also approaches current relevant issues raised by the theoretical and practical operationalization of the concept of integrated defense resources management deriving from Romania’s membership to NATO and EU.